Mr. Gaston has obtained multiple million dollar settlements and jury verdicts for his clients in medical malpractice cases with a most recent verdict of $10 million in a wrongful death case against a hospital in the Circuit Court for Baltimore City. He has represented clients in malpractice cases outside of the Maryland, and other trial lawyers have asked Mr. Gaston to serve their clients in medical malpractice cases outside of Maryland. Additionally, Mr. Gaston has extensive knowledge of Maryland’s automobile insurance tort laws and often teaches other personal injury lawyers the trial tactics required to obtain favorable results for their severely injured clients. In 2014, Mr. Gaston received the Trial Lawyer of the Year award from the Maryland Association of Justice for his efforts leading to the Maryland Court of Appeal’s decision in Brethren v. Buckley. In Brethren, the highest court in Maryland found that an automobile insurance carrier wrongfully denied Mr. Gaston’s client monetary benefits due under the insurance contract. Mr. Gaston has been selected a SuperLawyer’for the last eight years. Only 5% of all Maryland lawyers receive this honor. Mr. Gaston has also volunteered his time to act as a ‘judge’ in various Mock Trial Competitions throughout the State of Maryland. 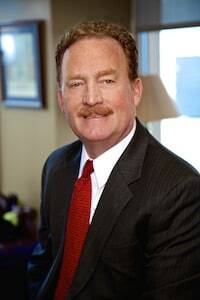 Mr. Gaston was one of the original 36 Maryland trial lawyers who represented victims of the 911 Terrorist Attack before the Federal Compensation Board pro bono. These 36 trial lawyers volunteered their time and effort to obtain over 52 Million Dollars in Compensation for the victims of the 911 attack. If you have a new personal injury case you would like Mr. Gaston to review, you can contact him here. You can also call him at 800-553-8082.